Thermostatic bath shower mixer. Output range 20 - 50c. Security stop 38c. Min 1 bar max 5 bar pressure. 285mm wide. Inlet centers 150mm +/- 5mm. Convert to deck mounted mixer using part 94706. Shower hose and head required. 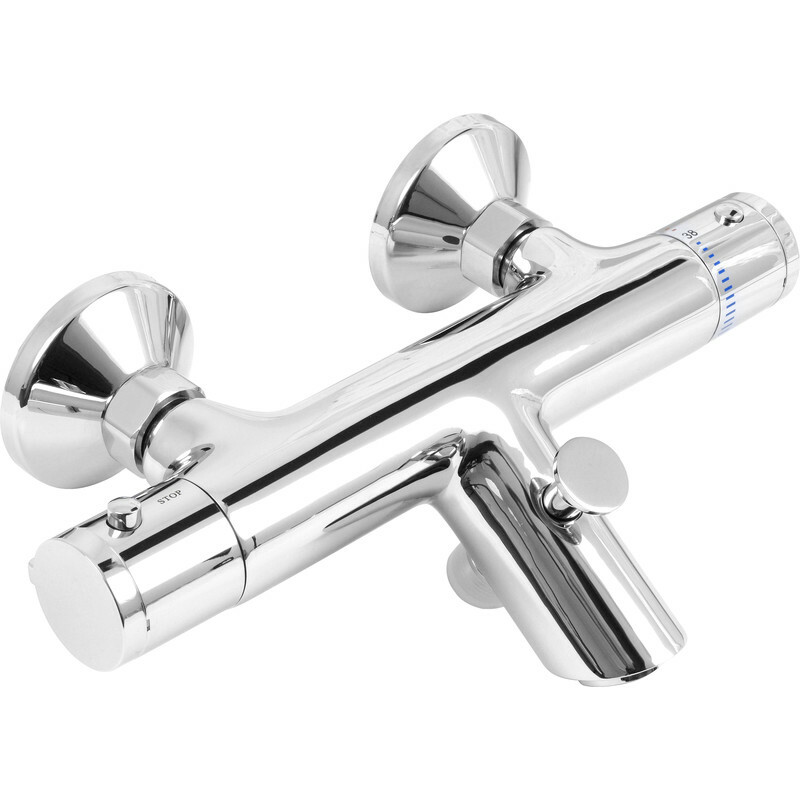 Stroma Thermostatic Bath Shower Mixer Tap is rated 4.5 out of 5 by 8. Rated 2 out of 5 by justme7983274156198 from Leaks Generally this is a decent mixer, apart from one issue that I've had. After a while water starts coming through the tap, even though it's turned off. It seems that the rubber connection on the inside wears down and even when fully tightened the water comes through. I've had a replacement valve from the manufacturer but after a few months the problem reappeared. It's worth pointing out that these mixers only have a year guarantee on them. Mine failed just after the year was up but the manufacturer sent a replacement valve anyway. Another year down the line and I'm in the same position again. I'm afraid I can't recommend this product. Works great at the start, but doesn't last. Rated 4 out of 5 by YAPH from Generally good Reasonably priced, solidly made, slightly odd-looking. My only reservation is that the diverter valve spring is a bit strong and the diverter doesn't stay in the shower position on some settings of a multi-mode head. Rated 5 out of 5 by Reggie from Excellent product I bought these to replace a mixer from online which only lasted two months... This was easy to install ,works better than old unit a much superior mixer.